In the market for high-caliber entertainment? Take a look at this week's lineup of acclaimed movies showing on the big screen in and around Livermore. With a 97 percent critical approval rating and an audience score of 94 percent on Rotten Tomatoes, "Spider-Man: Into the Spider-Verse" has gotten stellar reviews since its release on Dec. 14. The site's critical consensus indicates that "'Spider-Man: Into the Spider-Verse' matches bold storytelling with striking animation for a purely enjoyable adventure with heart, humor, and plenty of superhero action." You can catch it at Livermore 13 Cinema (2490 First St.) through Thursday, Jan. 17. Click here for showtimes and tickets. With a critical approval rating of 94 percent and an audience score of 61 percent on Rotten Tomatoes, "The Favourite" has become a favorite since its release on Dec. 14. According to the site's critical consensus, "'The Favourite' sees Yorgos Lanthimos balancing a period setting against rich, timely subtext - and getting roundly stellar performances from his well-chosen stars." The film recently scored a Golden Globe win for Best Actress in a Musical or Comedy Motion Picture. Catch it on the big screen at Vine Cinema & Alehouse (1722 First St.) through Thursday, Jan. 17. Click here for showtimes and tickets. With a critical approval rating of 93 percent and an audience score of 79 percent on Rotten Tomatoes, "Bumblebee" has garnered plenty of praise since its release on Dec. 21. Per the site's critical consensus, "'Bumblebee' proves it's possible to bring fun and a sense of wonder back to a bloated blockbuster franchise -- and sets up its own slate of sequels in the bargain." Catch it on the big screen at Livermore 13 Cinema (2490 First St.) through Thursday, Jan. 17. Click here for showtimes and tickets. With an 81 percent critical approval rating and an audience score of 94 percent on Rotten Tomatoes, "Green Book" has racked up generally positive reviews since its release on Nov. 16. 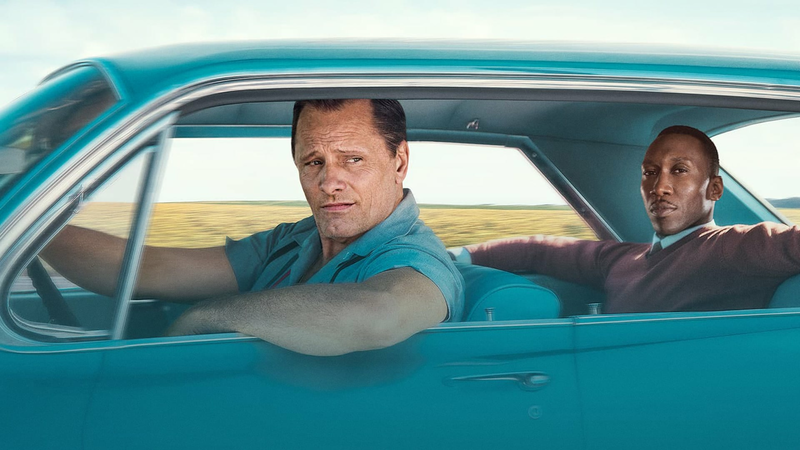 The site's critical consensus has it that "'Green Book' takes audiences on a surprisingly smooth ride through potentially bumpy subject matter, fueled by Peter Farrelly's deft touch and a pair of well-matched leads." The film recently scored three Golden Globe wins, including Best Musical or Comedy Motion Picture. In the mood for popcorn? It's playing at Livermore 13 Cinema (2490 First St.) through Thursday, Jan. 17. Click here for showtimes and tickets. Want to see for yourself? It's playing at Livermore 13 Cinema (2490 First St.) through Thursday, Jan. 17. Click here for showtimes and tickets.